For HSSU Employee Discounts (Fitbit, Microsoft, Hotels.com, AAA, etc.) click HERE. *To access paystubs online or to update personal information, visit ADP. The following is a brief outline of the fringe benefits package now provided full-time regular employees of the University. Detailed information on various plans can be found in the booklets provided all employees from the Human Resources Office. Life Insurance – Full-time regular employees of the University are enrolled in a group life insurance program at no cost to the employee through MetLife Insurance . Basic life coverage is equal to two and one-half times the employee’s annual earnings, up to a maximum of $100,000. Employees may purchase additional amounts of personal insurance and dependent coverage. Accidental Death and Dismemberment Insurance is also given to the employee at no cost. These coverages are full-time, on or off the job. Benefits are not affected by private membership in other life insurance plans. Disability Insurance – The University’s long term disability insurance plan may provide a totally disabled employee 60% of his/her salary up to a maximum of $10,000 per month. This percentage is composed of benefits paid under Social Security, and other pension plans. There is no cost to the employee for this coverage. *Employees must review the CURP enrollment materials as soon as possible and by using the TIAA-CREF Web Center: www.tiaa-cref.org go on line to make their investment elections or by calling the TIAA-CREF Telephone Counseling Center at 800-842-2776. If you do not elect investment options, the contributions plus any earnings will default to the CREF Money Market Account because you have not chosen your own allocation. If you do not list a beneficiary, your estate is automatically designated as your beneficiary. Social Security – The University matches the employee’s contribution for Social Security benefits. 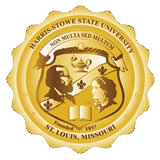 Tuition Remission – Full-time regular employees and their eligible dependents may enroll in courses at Harris-Stowe State University and the tuition is waived. (Eligible dependents are defined as those claimed on the employee’s W-2 Income Tax Form that is filed with Internal Revenue Services each year. A copy of this form must be submitted at the time the request is made for a dependent’s tuition remission.) Tuition remission is granted on a first-come-first-served basis through a round-robin procedure. Eligibility is as follows: Up to six credit hours for Fall and Spring semesters, and three credit hours for each of Summer Session I and Summer Session II. Workers’ Compensation – All employees of the University are covered by Missouri Workers’ Compensation and are entitled to treatment by an authorized medical doctor for any injury sustained on the job. The employee may also be reimbursed for lost time, disability, or dismemberment. Employee Assistance Program (EAP) - The University offers an Employee Assistance Program (EAP) to help employees resolve personal problems that can have a negative effect on their lives and job performance. When help is needed, regardless of the type of problem, e.g., financial, alcohol, drug, marital, family, etc., free counseling is offered to employees and their families. The EAP may be accessed directly, without discussion with University personnel, simply by logging on to metlifeeap.lifeworks.com User Name: metlifeeap Password: eap. Holidays – Paid holidays observed by the University are published according to the academic calendar. The President of the University may announce special holidays in addition to the ones published yearly. Vacation – Only full-time employees in positions budgeted as having full benefits from working at the University are eligible for paid vacation leave. There is no vacation accrual given to Faculty members. Professional Staff accrues at 1.666 days of paid vacation for each full month of full-time employment and Support Staff accrues at 0.833 days of paid vacation for each full month of employment. Sick Leave – Only full time employees in positions budgeted as having full benefits from working at the University are eligible for paid sick leave. Sick days are accrued to an unlimited maximum by eligible full-time staff employees at the rate of one day for each full month of employment. Faculty members are granted 9 sick leave days at the beginning of each academic year. Personal Leave – Full-time University employees are granted two day s of personal leave with pay in each fiscal year. Funeral Leave – Absence with pay will be authorized for the funeral services of immediate family members. Jury Duty – Employees of the University, officially selected by proper court officials as jurors, shall be granted leave with pay for such duty. Such Jury Duty must be documented. Bookstore – The Bookstore gives a 20% discount on all personal purchases over $5.00 upon presentation of the staff identification card. Military Leave – An employee who is a member of the National Guard or any reserve component of the Armed Forces of the United States, is entitled to leave of absence with pay, in addition to annual or sick leave, on days such member is ordered to required military duty or training not to exceed fifteen working days in any one federal fiscal year. *This limitation does not apply to members of the National Guard engaged in the performance of required duty or training in the service of the State at the call of the Governor and as ordered by the Adjutant General. Savings Annuity Plans – The University participates in several voluntary tax deferred 403(b) annuity plans, which are available to all employees. Information regarding these plans may be obtained from the Human Resources Office. Pay Check Issue Dates – All University employees are paid on a semimonthly payroll schedule. Pay days are the 15th of the month and the last business day of the month. If either normally scheduled payday falls on a Saturday, Sunday, or holiday, employees will be paid on the last business day prior to the weekend or holiday. Please feel free to contact the Human Resources Office (314) 340-3340 if you have any questions about the University or the fringe benefits available to you as a full time employee.